Stephen Lichtstein concentrates his practice in tax, estate planning and corporate planning for individuals, families and business enterprises. He first takes the time to understand his clients’ goals and focus on their family needs. Then he counsels them in connection with their estate planning, personal and business needs. As a part of the estate planning process he drafts Wills, Revocable Living Trusts, Irrevocable Life Insurance Trusts and other planning documents effectuating the lifetime and testamentary needs of the client. He also counsels individuals and entities with regard to employee benefits, compensation planning, and personal and corporate tax planning. Stephen counsels clients about estate and succession planning for their family businesses, as well as developing methods for the perpetuation of the business and minimizing generation skipping transfer taxes. He recommends and then implements the necessary instruments accomplishing these goals. He also prepares business agreements relating to closely-held businesses, including the formation of corporations, partnerships and limited liability corporations, as well as various member, shareholder and/or partnership agreements. Stephen represents estates, trusts, beneficiaries and charitable organizations in a variety of related matters, including issues related to the performance of fiduciaries in the administration of trusts and estates. He offers advice in connection with methods of planned charitable giving through charitable trusts and other charitable-type arrangements and techniques. Stephen recognizes that a sound estate plan involves planning for the ultimate distribution of retirement benefits on death. He has developed a high level of skill in this particular area. These retirement benefits, including pension benefits, 401(k) plan benefits, IRAs and other qualified retirement benefits, are estate taxable on death, and, except for limited situations, are also income taxable when withdrawn by the participant during life and/or to the beneficiaries after death. The goal is to distribute these benefits after death to beneficiaries tax-efficiently, in the manner and to whom the client desires, while minimizing the income tax and estate tax consequences to the beneficiaries. Stephen has lectured for major financial institutions, various other financial professionals, numerous groups of financial advisers and their clients, the American College, the New Jersey Society of Certified Public Accountants and various chapters of certified life underwriters. He has lectured on estate planning, estate planning for retirement benefits, matters pertaining to estate administration, charitable giving techniques, planning with the use of life insurance and annuities and other tax-related issues. 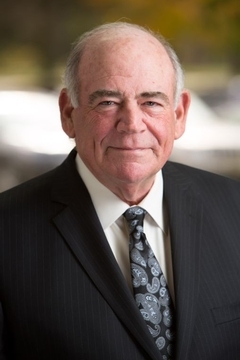 He has served as a member of the Attorney Network for Estate Planning Lawyers for a major financial institution and served as a coordinator of the Network for many years.